Summary: From Paul French, the New York Times bestselling author of Midnight in Peking—winner of both the Edgar Award for Best Fact Crime and the CWA Gold Dagger for Non-Fiction—comes City of Devils, a rags-to-riches tale of two self-made men set against a backdrop of crime and vice in the sprawling badlands of Shanghai. Shanghai, 1930s: It was a haven for outlaws from all over the world: a place where pasts could be forgotten, fascism and communism outrun, names invented, and fortunes made—and lost. “Lucky” Jack Riley was the most notorious of those outlaws. An ex–U.S. Navy boxing champion, he escaped from prison and rose to become the Slots King of Shanghai. “Dapper” Joe Farren—a Jewish boy who fled Vienna’s ghetto—ruled the nightclubs. His chorus lines rivaled Ziegfeld’s. CITY OF DEVILS, THE TWO MEN WHO RULED THE UNDERWORLD OF OLD SHANGHAI is a true crime book covering life in Shanghai in the period from 1930 until 1941. It is a story about Jack Riley, who ruled the gambling empire in Shanghai and Joe Farren who ruled Shanghai’s nightclub scene. It is a story about their rise to power, their ultimate downfall and the trail of destruction they left behind. It is also a story about old Shanghai and its Badlands and the International Settlement (under British, French and American control) as it struggled with the Great Depression, the Sino-Japanese War that raged around them and the effects of World War II. People came to Shanghai from America, Russia and other areas; some escaping the war, some outlaws looking to get rich. “Lucky” Jack Riley was an orphan, an escapee from an Oklahoma prison and an ex-navy boxing champion who found his way to Shanghai and became the “Slots King” of Shanghai. “Dapper” Joe Farren from Vienna’s Jewish ghetto became a great showman who produced grand chorus lines and nightclub entertainment for Shanghai’s elite. Both men were involved with show girls, gambling, prostitution, alcohol, drugs, mobsters and anything else involved with the Shanghai underworld. Jack and John were enemies, then business partners, then enemies. They were very poor, then very rich, then very poor. 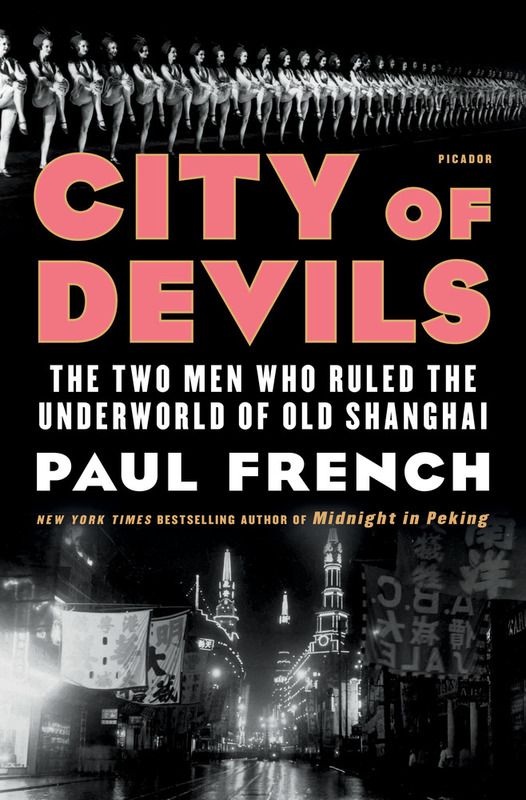 Author Paul French, through an enormous amount of research and an amazing writing ability, brought Old Shanghai to life in CITY OF DEVILS. He characterized in great detail how the Badlands operated during this period. He profiled many characters who revolved around Jack Riley and Joe Farren. Sadly there were no good characters, only bad ones. Even the lawmen, whether Chinese, Japanese or American, were corrupt. As I read the book it was easy to picture the events, people and scenes that French was describing. It was amazing to read how the underworld survived even as Japan and China fought, people starved and poverty prevailed all around them. The end came for Jack Riley and Joe Farren as U.S. lawmen squeezed them and Japan bombed Pearl Harbor and brought the United States into the war. As a result of the war, Japan left nothing of Old Shanghai standing. CITY OF DEVILS gave me an interesting perspective of war and how life goes on around it. It also showed how some people profit from war. If you enjoy reading about world history then I think you will enjoy the small piece of it displayed in CITY OF DEVILS. I've really been into non-fiction lately so this sounds good to me.